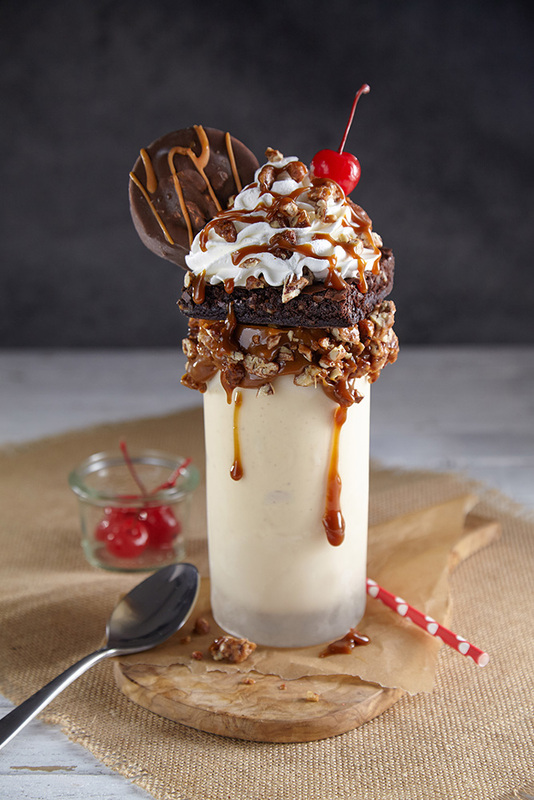 Praline pecan ice cream blended with a chewy caramel ribbon and a dark chocolate brownie. Served in a praline rimmed glass with a turtle brownie, whipped cream and a cherry. 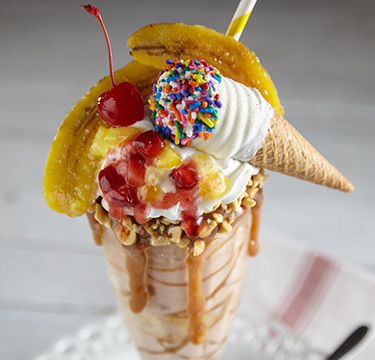 Place ice cream, caramel sauce, and whole milk into blender; blend until smooth. Rim 16 oz pint glass with caramel and crushed praline pecans. 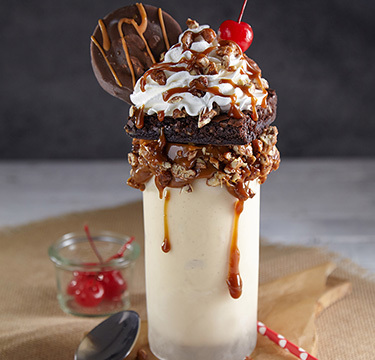 Pour milkshake into glass and top with turtle brownie. Top brownie with whipped cream, broken praline pecans, caramel sauce and a cherry. 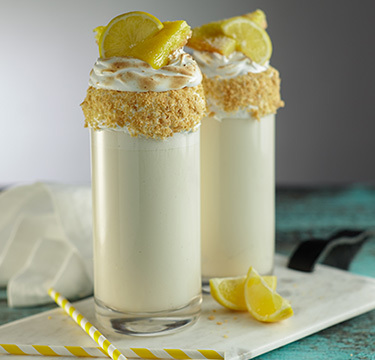 Garnish with a Blue Bunny Salted Caramel Pretzel Bunny Snack for an extra "wow."